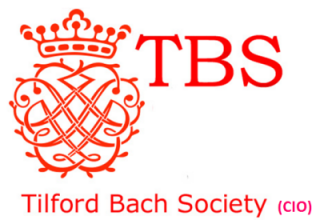 Thanks to sponsorship from the Countess of Munster Trust two rising stars of the classical guitar played to a spellbound audience at a Tilford Bach Society concert last week. Sean Shibe, the youngest ever graduate from the Royal Conservatoire of Scotland, was recently featured in BBC Music Magazine. He was joined by Czech prodigy Petra Polackova who began playing at the age of six and has won several prestigious international awards. 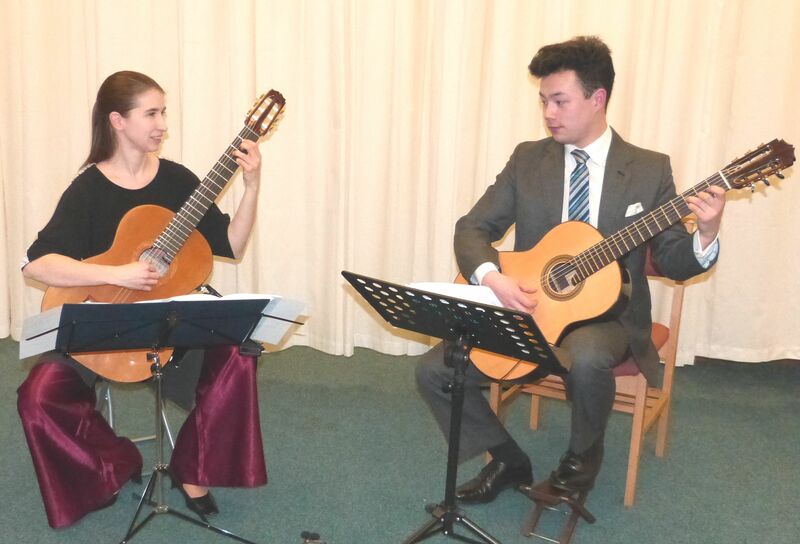 They chose a varied and challenging programme ranging in time from 1597 to 1963 and amply confirming the guitar’s status as a versatile classical instrument. Bach’s Goldberg Variations have proved adaptable to a wide variety of instrumentation and this arrangement for two guitars worked beautifully, moving through a range of moods and textures including a breathtaking presto. Petra then took us to Hungary for four pieces inspired by folk tales, including a fiery and passionate Capriccio and a contemplative evening piece of great beauty and sensitivity. Sean prefaced his next piece with the warning that it’s not to everyone’s taste though it is obviously a favourite of his. Benjamin Britten’s ‘Nocturnal after John Dowland’ explores several contrasting moods before switching from atonal to tonal for the final section, a tender rendition of Dowland’s original1597 theme, ‘Come, Heavy Sleep’. Petra rejoined Sean for Brahms’ Theme and Variations from Sextet Op. 18, a brilliant arrangement demonstrating the guitar’s ability to create lush Romantic harmonies and textures. For an encore we were taken to Spain for a delightful piece by Albeniz. Sean Shibe was born in Edinburgh in 1992. He graduated from the Royal Conservatoire of Scotland in July 2012 with first-class honours, the youngest musician to have ever entered the establishment, and continues his studies with Paolo Pegoraro in Italy. 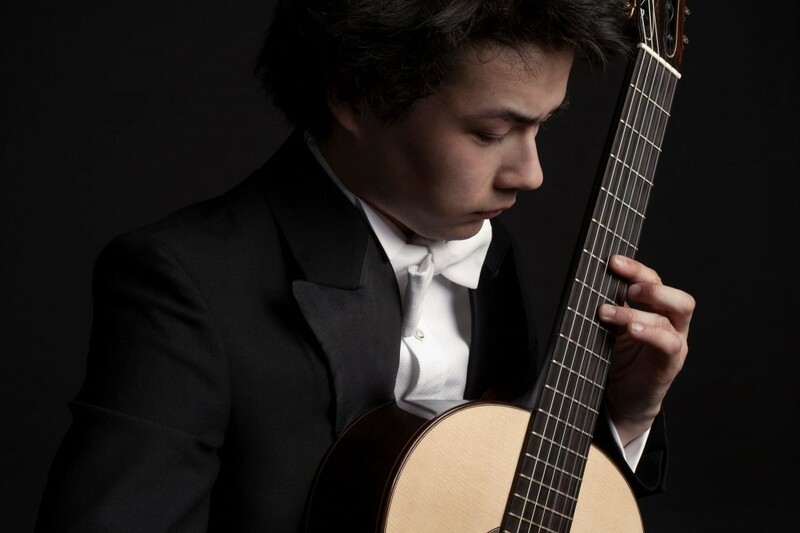 Sean has been a trailblazer for his instrument: he is the first guitarist to be admitted to the prestigious BBC New Generation Artists Scheme, and the only solo guitarist to have received a Borletti-Buitoni Fellowship. He has just been accepted onto the YCAT Scheme. Highlights of 2015 include his debut with the BBC Symphony Orchestra performing the Villa-Lobos Guitar Concerto, performing the Arnold Guitar Concerto with BBC National Orchestra of Wales. Sean took part in the Britten celebrations in Aldeburgh, and the Marlboro Summer Music Festival & Academy in the USA on the invitation of Mitsuko Uchida. Petra Poláčková began her guitar studies at the age of six. In 2010 she completed her studies at the School of Music in Pardubice (Czech Republic) with Prof. Petr Saidl. Currently, she studies with Prof. Paolo Pegoraro at „Universität für Musik und darstellende Kunst“ Graz (Austria). Since 2002 she has won three first prizes in Czech Republic national competitions in Opava, Ceske Budejovice and Pardubice and six first prizes at international competitions in Dolný Kubín (Slovakia), Kutna Hora (Czech Republic), Bratislava (Slovakia), Krzyżowa (Poland) and Krynica (Poland). 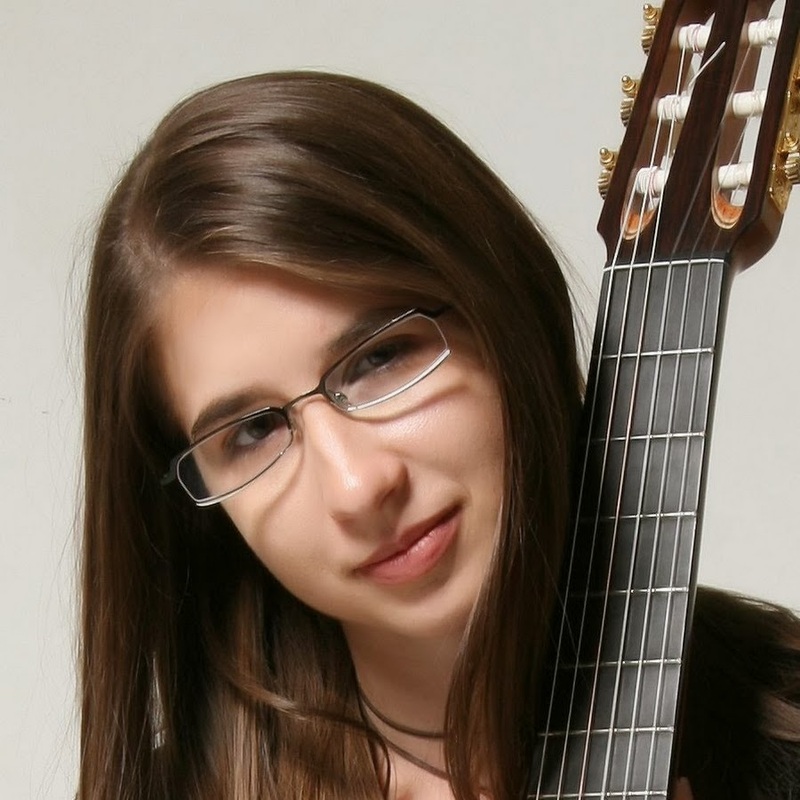 In 2011 she won second prize at the International Guitar Festival Rust (Austria), second prize (first not assigned) at the International Guitar Competition „Stefano Strata“ Pisa (Italy) and first prize at the 36th International Guitar Competition Gargnano (Italy). As a result of her competition and concert successes she has been invited to perform at many prestigious European and also non-European guitar festivals, such as Bonn, Vienna, Rust, Mikulov, Kutna Hora, Tychy, Wroclaw, Bratislava, Pordenone, Budapest, Balaton, Bar, Genéve, Tel-Aviv, Cleveland (US Debut in May 2014) and others.